Just Say No to Mom Jeans — Anna Akbari, Ph.D.
Parenthood is largely about sacrifice (so we’ve heard over and over again). Of course it’s also about other wonderful things you gain, but there is quite a bit of personal sacrifice involved, especially for the mother. A mother not only undergoes an emotional transformation, but a physical one. She literally gives up her body as she knows it to grow another human being within it. That’s huge, and our mothers are to be commended for it. Total self-sacrifice, at least in this country, is celebrated as one of the tenets of Motherhood. A “good” mother totally gives her “old” self up for the sake of her family, with all familial needs coming before her own. 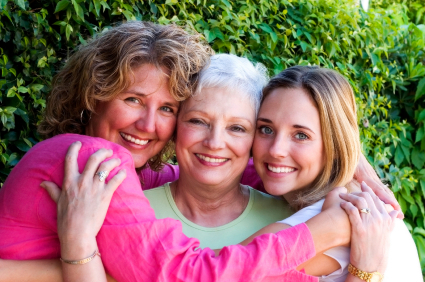 One of the clearest manifestations of our mothers’ sacrifices is how our moms dress. 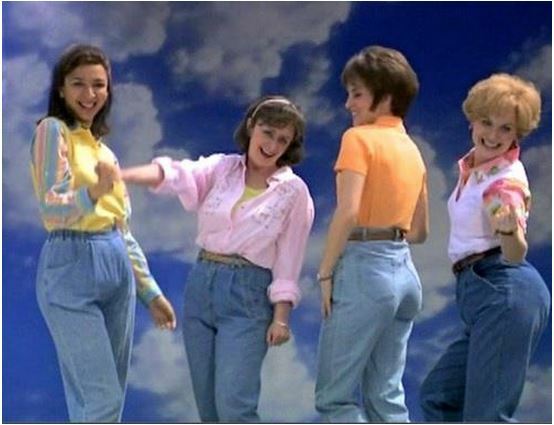 Enter Mom Jeans (perfectly parodied in this SNL skit). Mom Jeans are the grotesque visual representation of pragmatism and immolation trumping all of the feminine mystique that brought forth children in the first place. American women seem ill equipped (not to mention socially chastised) at walking the line between Mother and Woman. We, as a country, seem less able to grasp that there can be a healthy balance between the two and that that balance doesn’t make us less capable at one role or the other. When I visited home after my first semester of college, my own mother’s fashion was something I suddenly took interest in. Though her nest was now empty and she had ample free time to focus on herself, she was still dressing as a Mom with a capital M, and, I’ll be honest, it concerned me. Why? Because I felt she was neglecting that which made her a mom in the first place –- that part of her that made my dad sit up and take notice of that lanky, raven-haired beauty oh-so-many years before. Her uniform of flannel shirts, Mom Jeans, and running shoes was frumpy and unflattering, and it was time for her to stop sacrificing. It began with positive reinforcement: when she wore something flattering, I commented on how lovely she looked in it and, more importantly, why it was flattering. Then came the tough love: we purged her closet. Out went shapeless, frumpy garments and in came a bevy of princess seams, better jeans, and structured outerwear, none of which, mind you, sacrificed comfort for fashion. After a while, we updated her haircut with a cropped pixie ‘do, a la Jamie Lee Curtis, and got her some new specs at SEE Eyewear to replace her old, unremarkable Costco frames. She looks fantastic! While it’s taken some years and coaxing, my mom has definitely gotten her groove back, and it shows in how she carries herself. She knows how to assemble an attractive outfit and feels proud of the way she looks, which, in turn, makes me proud of and happy for her. She is beautiful for all the world to see. All of our mothers should be so lucky. 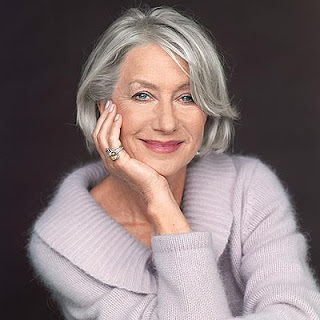 Read: Send your mumsy over to www.unefemme.net for some wonderful and pragmatic examples of over-50 fashion, replete with both hip and classic ideas to incorporate into your mom’s everyday style. For further education, check out Une Femme’s list of 40+ Style Blogs. 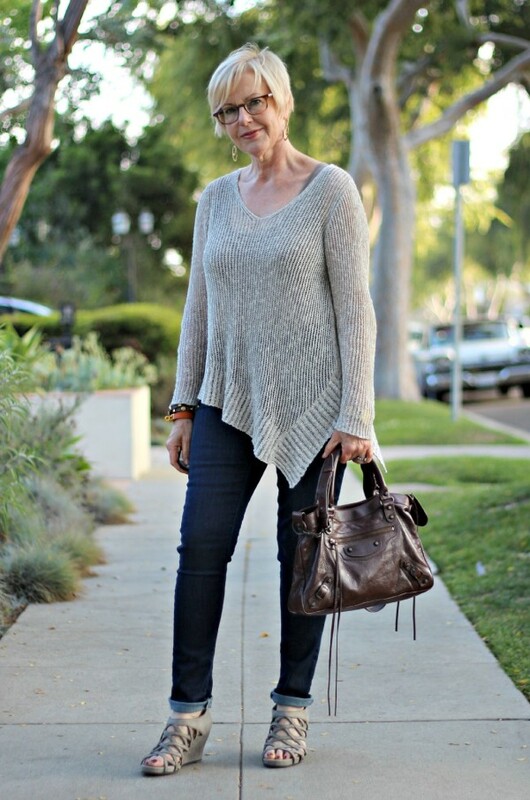 Wear: No matter your madre’s shape or size, there are some things that just instantly give her a pulled together look. Here are 12 things that are universally flattering on the Everywoman. Do: Spend time with your mom. The mother-daughter bond is one of the most important and influential relationships in a woman’s life, and nurturing it is balm for the soul. Here are 20 ideas for dates with your mom. Experiment: One of the fastest ways to update mumsy’s look is to make sure she’s got a current coiffure. Get thee to a reputable hair salon whose resulting haircuts and reviews you like. When in doubt, Yelp it – or don’t be afraid to ask for the name of her stylist when you see a woman with a great cut!